Georg Jensen Bowl No. 6. This bowl was designed originally by Johan Rohde 1912. 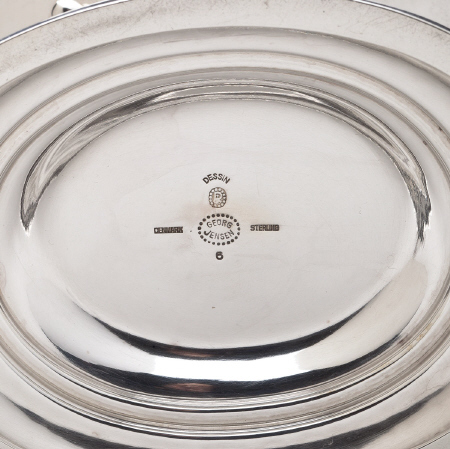 The bowl has an oval base and measures 5.3125 inches high. 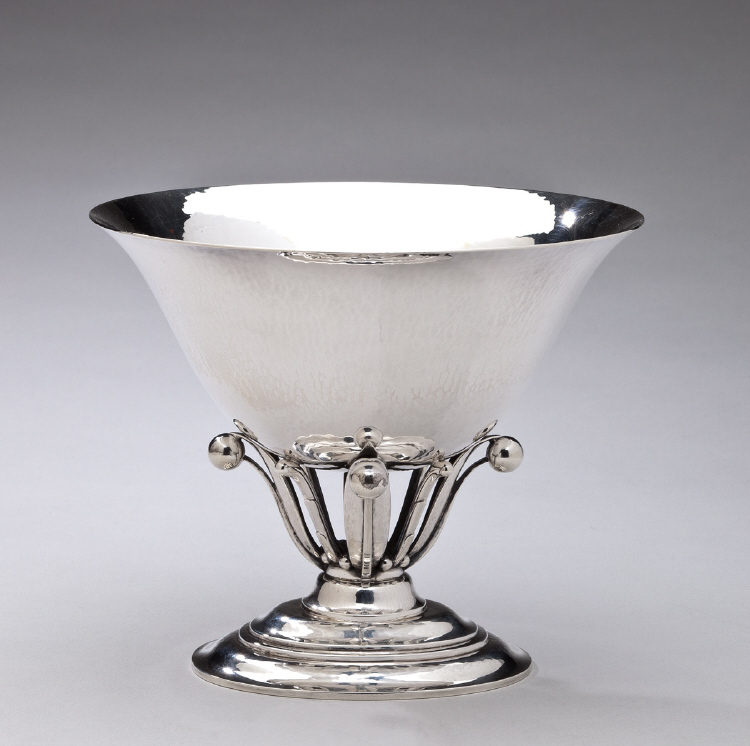 This bowl bears impressed company marks for Georg Jensen circa 1945-1977, JR, Sterling, Denmark. The bowl is in excellent condition.